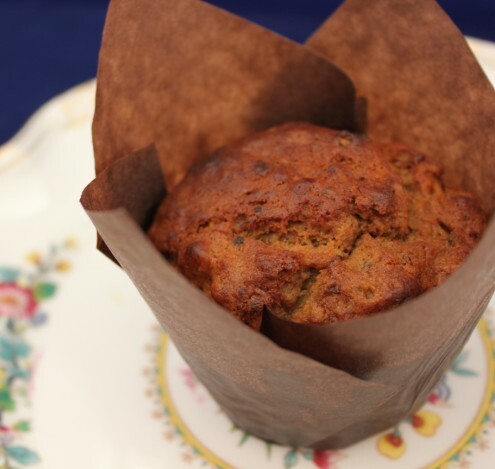 The closest things to a healthy muffin that I have ever made! These are savoury and packed full of good fats and fibre. As well as being the perfect way to use up slightly soggy avocados, you can substitute these for sad looking bananas if you would like a sweeter breakfast. Dissolve the instant coffee in 150ml of boiling water and pour this over the grains, leaving for 30 minutes to swell and absorb all but the tiniest amount of the liquid. Dry mixed grains are found in the Whole Food section of larger supermarkets and you can buy ready soaked grains in the pulses aisle (I have used Merchant’s Gourmet grains before). If you use ready soaked grains, dissolve the instant coffee in a tablespoon of boiling water and add this to the wet ingredients. Whisk the syrup, oil, and egg to combine before folding in the mashed avocado. Add the dry ingredients and mix until only just incorporated. Spoon the muffin mixture into your prepared tin and bake for 18-20 minutes until risen and springy. Cool the muffins in their tins for 5 minutes before removing to cool on a wire rack. Serve warm, cut in half and spread with a little butter.